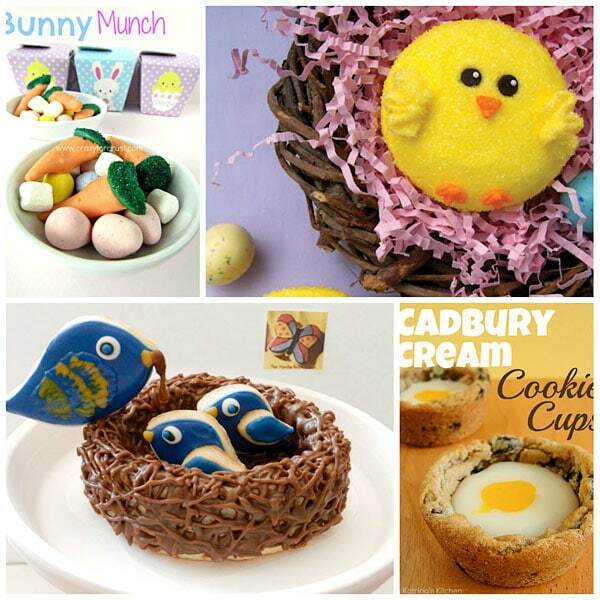 Looking for fun food ideas to liven up a Spring or Easter party, or entertain the kids for April Fool’s Day? 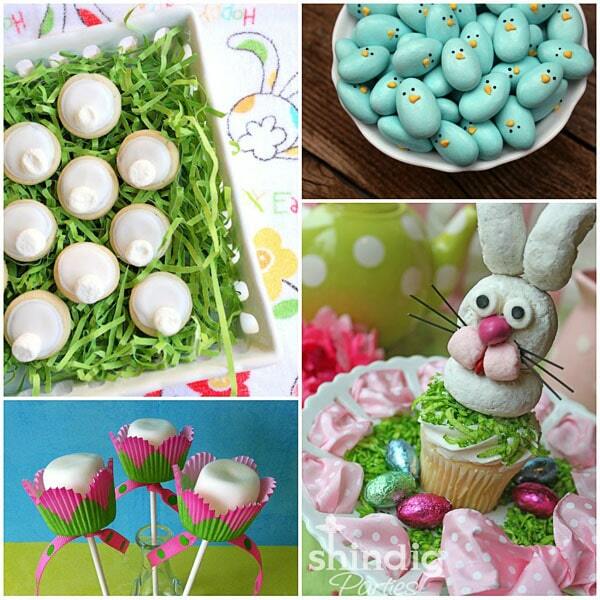 You are sure to find the perfect recipe for any gathering with these ideas from Easter Bunny Cupcakes, to April Fool’s “fried chicken with all the sides”. Here’s a few that caught my eye at this week’s I’m Lovin’ It party. 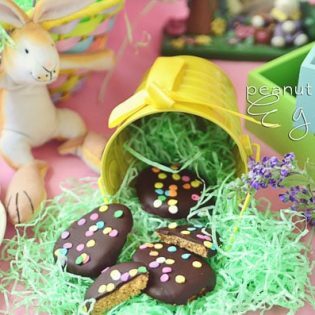 Fun Food ideas shared by YOU! can still link up thru this evening or come back next week and link up for another I’m Lovin’ It Friday, who knows maybe next week I will be featuring you! REMINDER: The Spring Cleaning Challenge has started!. 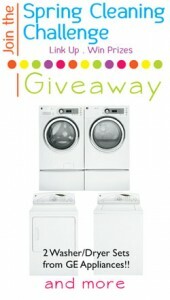 Get all the details and see how you can enter to win one of 2 brand spanking new GE Washer Dryer Sets and other fabulous prizes!! Thanks Cheryl, All these are soooooooo cute. Those little bunny butts are adorable. Thanks Cheryl!!! I love the blue birds, saw those on Pinterest the other day! Cheryl, thank you for including me in this party wrap-up. I’m very flattered 🙂 It was quite the party and I have to tell you that that bucket of KFC side of corn and beans really had me going! What a fun treat anytime but especially April 1st. 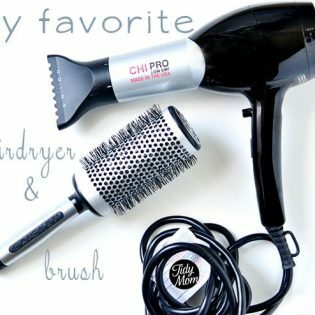 Thanks for featuring me and leading me to a few other awesome ideas I love! 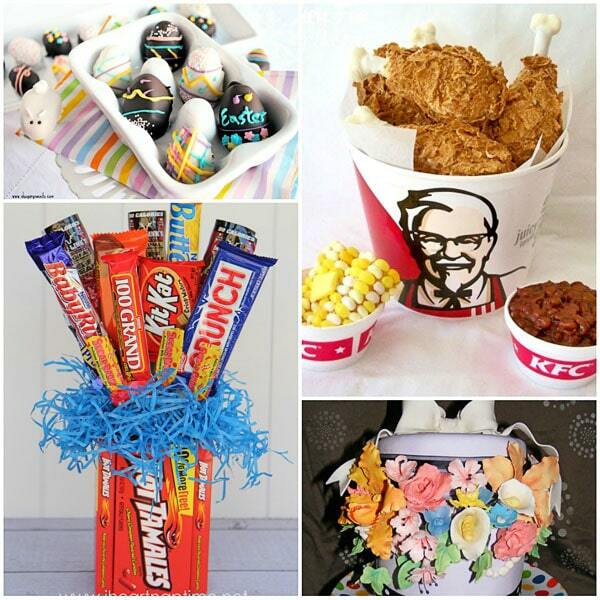 Thanks so much for featuring our April Fools KFC! Love everything..especially the Chic Cupcakes! oh I missed a few of those, so cute.